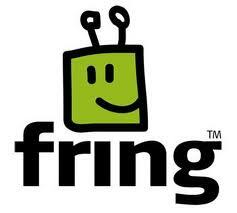 In the past I had tried Fring. At the time that was also pretty useless, locking up most of the phones I’ve had, but I decided to give it another go. The new version had been through a number of versions since I had used it last but I was pleasantly surprised when I found it still retained my username, so no new account setups required. For those that don’t know about fring its a multi platform (Symbian S60, iPhone/iPod touch, Android, Windows Mobile, J2ME & Linux devices and operates on any available mobile internet connection (3G, Wi-Fi, GPRS, EDGE &WiMax). (Android released just in time for my pre ordered HTC Desire!!)) VOIP client. It currently supports Skype®, Facebook, MSN® Messenger, ICQ®, Google Talk™, Twitter, AIM® & Yahoo!™. It also has a number of add in’s such as LastFM, WeFi SIP, ICQ, etc, that can be activated to get those feeds and contacts imported as well. and testing these out they all work very well over both 3G and WiFi. Have a go and try the test call out, you’ll be amazed at the quality, and at the worst it can only reduce your mobile bill if you are using Skype out or making VOIP calls to Skype or MSN!